The first time I ever went to a top flight English league match was on April 15th, 1989 – the day of the Hillsborough disaster. I was just under 8 years old and while I was enjoying the experience of going to Loftus Road to watching QPR play Middlesbrough in Division 1, a couple of hundred miles away the worst stadium tragedy in British history was happening up in Sheffield. Ninety-six Liverpool fans died as a result of overcrowding in the Leppings Lane end of Hillsborough – Sheffield Wednesday’s stadium – during the Reds’ semi-final against Nottingham Forest. The oldest victim was 67 years old, the youngest just 10. In the aftermath of the incident, blame was placed on Liverpool supporters, claiming that they had caused the tragedy through drunkness and the presence of ticketless fans. Shortly afterwards, The Taylor Report – which examined what had really happened – determined the incident happened due to a lack of police control and poor safety standards at Hillsborough. Nevertheless, while this did have an impact on English football stadiums – with the report requiring league clubs to move to all-seater arenas and to abolish the terraces – the truth of who was at fault that day was still widely disputed by people from (now London mayor) Boris Johnson, to the general public as they were exposed to untrue news stories. In December 2009, the Hillsborough Independent Panel was setup to investigate the incident thoroughly and, after examining nearly half a million pages of evidence – determined that the Liverpool fans were in no way to blame for the tragedy. The panel concluded that it was the overcrowding problem at the stadium – which had been noted as an issue in 1987, but not addressed by Sheffield Wednesday – and the lack of police control that caused the death of the 96 supporters. More damning than this, they reported that 41 of the 96 could have been saved if there had been better reaction and co-ordination from the authorities; and that there had been a deliberate attempt to pass blame onto the Liverpool fans by the South Yorkshire Police and other emergency services. This cover-up included the amendment of 164 statements given by witnesses and the dissemination of misinformation to the press via former Conservative MP, Irvine Patrick. 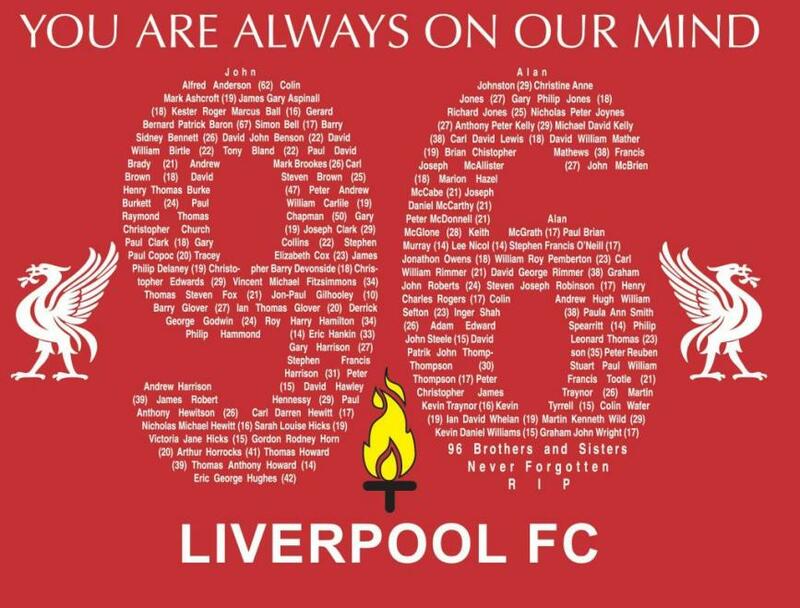 Families of the victims of the Hillsborough disaster and other Liverpool supporters have campaigned for the last 23 years for justice – that those who perished should not be falsely attributed partial blame for their own demise, and those who were responsible should face criminal charges. For those fans who were in Leppings Lane but survived, dealing with the tragedy would have been hard enough (within 10 years, three survivors were known to have committed suicide), without being accused of being at fault for the loss of life of their fellow supporters. They continued their pursuit of truth for 23 years in the face of lies being told about them, or weariness and apathy from others as the time since the tragedy lengthened. But how long would you campaign if you knew you were right, or if you had lost a loved one in such a disaster? The panel’s findings will not bring anyone back to life, but it may perhaps help the survivors and the families of the victims to come to terms with what happened and find peace when they have full justice. With the break for World Cup qualifiers, it has given Premiership managers two weeks to assess their squads and try to gel their teams since the close of the transfer window. This will have been more important to Tottenham and QPR as anybody, as both sides shuffled their playing staffs significantly and have yet to find their form in the first three matches of the season. In their last game before the international adjournment, Spurs struggled to a 1-1 draw against Norwich at White Hart Lane. Moussa Dembele, who had joined from Fulham the week before, opened the scoring with a well taken left foot shot from the edge of the box, but once again Andre Villas-Boas failed to hold the lead, succumbing to a Robert Snodgrass equaliser five minutes from time. 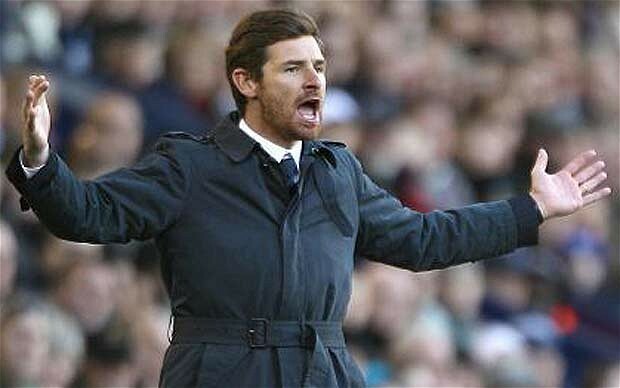 The Portuguese manager has failed to win any of his first three competitive matches in charge of Tottenham and fans will want to see a quick change in form, otherwise there may be calls for his tenure to be even shorter than his spell at Chelsea. On the other side of London, Queens Park Rangers had more transfers in and out than even Spurs, leaving Mark Hughes with plenty of options, but needing to find the right balance in his new squad. Thus far, QPR have gained just a solitary point this season and lost to Manchester City at the Etihad in their most recent game, just like they did on the final day of last year. Elsewhere, Arsenal got off the mark in the goals column against Liverpool, beating the home side 2-0 at Anfield through goals by new signings, Lukas Podolski and Santi Cazorla (whom I no longer have to look up each time I want to spell his name!). Manchester United came from behind to win 3-2 in their game with Southampton at St. Mary’s, Robin Van Persie getting all three for his new club, but he also missed a penalty when he tried to do a cheeky chip. West Brom continued their strong start to the season with a 3-0 win over Everton, inflicting the first defeat of the year on David Moyes’ side; Swansea missed the chance of joining Chelsea at the top of the table, as they were held to a 2-2 draw by Sunderland in South Wales; Aston Villa got their first point of the season away at Newcastle; and Wigan and Stoke shared 4 goals at the DW Stadium. One of the best performances of the weekend was by West Ham, who focused their attacks through Andy Carroll – on loan from Liverpool for the season – and comfortably beat their London rivals, Fulham, three goals to nil. The only negative point for Sam Allardyce was that Carroll limped off in the second-half with a tight hamstring and may be missing for this weekend’s game against Norwich. The other fixtures see Arsenal host pointless Southampton; Manchester City travel to Stoke; United entertain Wigan; and Brendan Rodgers will try to avoid Liverpool having their worst start in 104 years, when he takes his new team to Sunderland. Swansea are away at Villa; Fulham play third-placed West Brom at Craven Cottage; and Spurs go to Reading in search of their first victory of the campaign. The biggest game of the weekend is the local derby between QPR and Chelsea, a fixture that last year saw Rangers beat their more illustrious rivals and John Terry be accused of racially abusing Anton Ferdinand. Terry was acquitted by a court in July and looks likely to return from injury in time to face what is sure to be another hostile environment at Loftus Road.